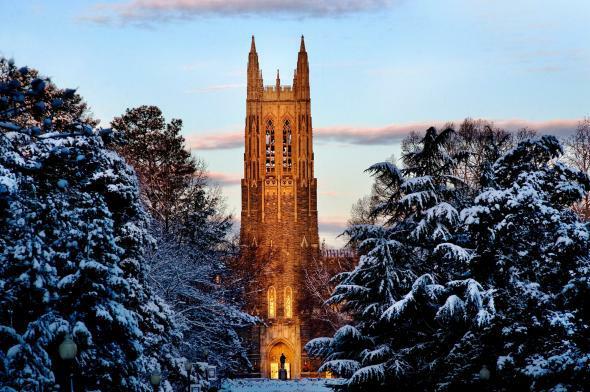 Duke University cancels planned chapel weekly Muslim call to prayer. Earlier this week, Duke University announced it would allow the Muslim call to prayer to be chanted from atop the campus chapel each week, but the university reversed course on Thursday. The first call to prayer, or adhan, by members of the Muslim Students Association was scheduled to take place on Friday, a move that angered some Christian groups. More than 700 Duke students—or roughly 5% of the student body—identify as Muslim, according to the university. Traditional Muslim Friday prayers, which start with the call to prayer, have been held in the chapel basement for years. Instead of the chapel bell tower, the call to prayer will be recited in the quad outside the chapel, a common site of interfaith programs, Duke said in a statement.